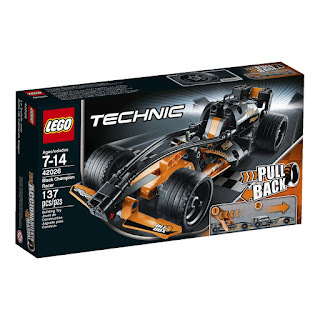 Right now you can get this LEGO Technic 42026 Black Champion Racer Model Kit for ONLY $15.79 (Retail $19.99)! -Super cool contoured body shape! Distinctive black and orange and chrome decals! Pull back and get ready to blast away from the starting grid! -Combine with 42027 Desert Racer to create an amazing Race Truck with 2 pull-back motors!